To say my hair is a dream to work with is a far cry from the truth. While it may not be the most difficult, it’s definitely not easy either. I have a natural soft curl, which, although I like it, is masked by a great deal of frizz from the mid-length that needs daily management. 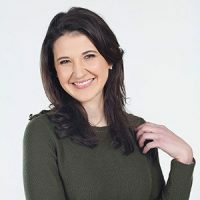 Additionally, I have an oily scalp due to hormonal imbalances, which requires frequent washes with clearing shampoos – this, again, doesn’t help with frizz management. Whenever I wash my hair, it takes about an hour to dry and style. With this reassuring information in mind, I opened up to the possibility of trying out a keratin hair treatment that complied with EU standards, and decided on INOAR’s Reconstructor Plastica. Not only is INOAR the first haircare company to introduce the Brazilian keratin treatment as a professional line to the market, but it also invests hugely in researching hair health and product use. 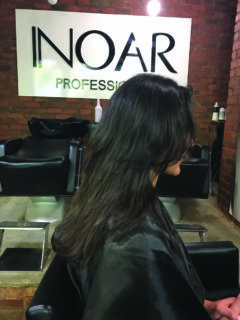 INOAR offers four keratin treatments; each has a different strength, so you can choose just how straight you want your locks to be for the next few weeks. I chose the Reconstructor Plastica (the weakest one), because it reduces frizz by up to 95%, but curls and volume by only 30%. Additionally, it is designed – much like the company’s other keratin treatments – to hydrate hair and replenish keratin lost over time, as well as to realign the protein structure of your strands, smoothing it out and making it shiny. To find out more about INOAR and their products, click on the following link. On arrival, I was taken through to the wash basin, where my hair was washed and beautifully massaged with the Reconstructor Plastica Deep Cleansing Shampoo. 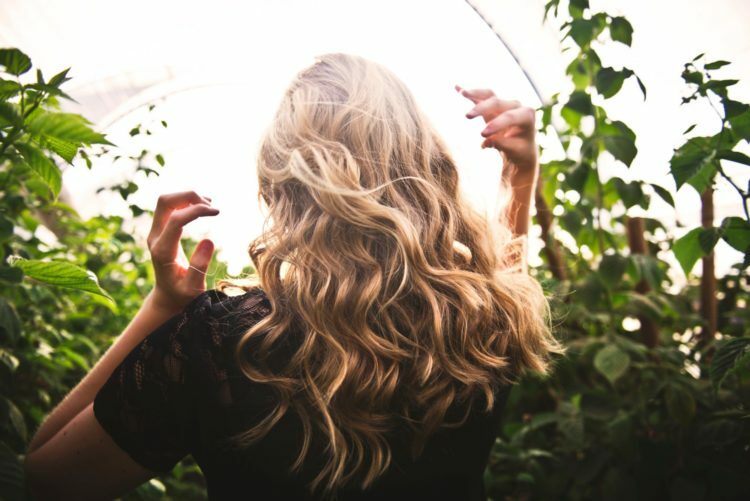 While a conditioner would usually be used at this point to provide moisture and seal the cleaned follicles, with the keratin treatment you need those hair follicles open for the next step: the Collagen Smoothing System. From here I was taken back to the chair, where the tonic-like Collagen Smoothing System was brushed into my hair, much like when you apply color. I sat for exactly 20 minutes before I was taken outside for the blowdry. The tonic stayed in my hair while the hairdresser blowdried it and straightened it with a straightener, to seal the product deeply into my hair follicles. To my surprise, my hair didn’t feel sticky or coarse, and the product barely released any odor during the blowdry. This was good reassurance of how few chemicals it contains. The whole process was so easy that I didn’t realize we were almost finished. I got back to the wash basin, where my hair was rinsed, and a luxurious mask was applied for a few minutes. Now for the final blowdry: here I was expecting another 30 minutes out of my day, but my hair was so easy to work with that it didn’t take more than 10 minutes to get the job done. The cost will depend on the length of your tresses and which salon you choose, as you will be charged for how many grams of the tonic need to be used to cover your whole head of hair. At the INOAR salon, for my length (which reaches just below my shoulder blades), you can expect to pay between R800 and R900 for the treatment. I was given INOAR’s newest shampoo and mask from its Kálice range, which ensured I had the correct aftercare that would both nourish my hair and prevent the treatment from being stripped out, so that it lasts approximately six weeks. The shampoo and mask both contain vitamin E and seven vegetable oils known to moisturize, nourish, regenerate, soften and protect your hair. Since the treatment, I can confidently say my locks has almost completely lost their frizz; the waves are soft, yet defined, and I don’t need to do much more than dry it properly with a hairdryer for it to look presentable every day and be a pleasure to manage. Would I do it again? Absolutely. Would I recommend it to a friend? Anytime. Click here to find the solutions to common hair and skin problems.